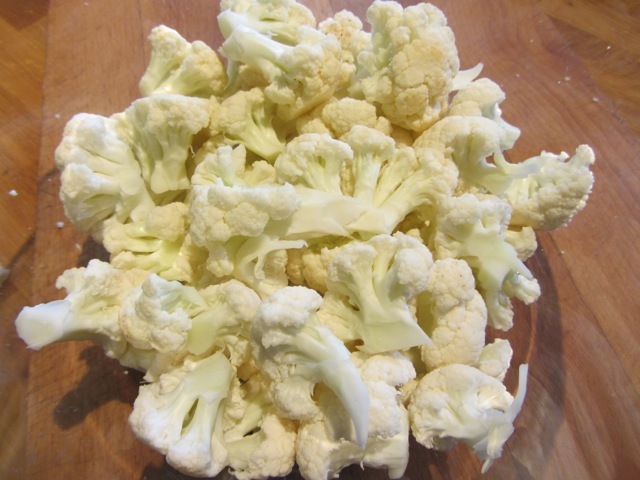 The usual story here this morning; a cauliflower lurking in the fridge. It’s the way they present themselves in that uptight manner–a defensive helmet of non-cooperation; if there’s something else in the fridge you are likely to choose that. 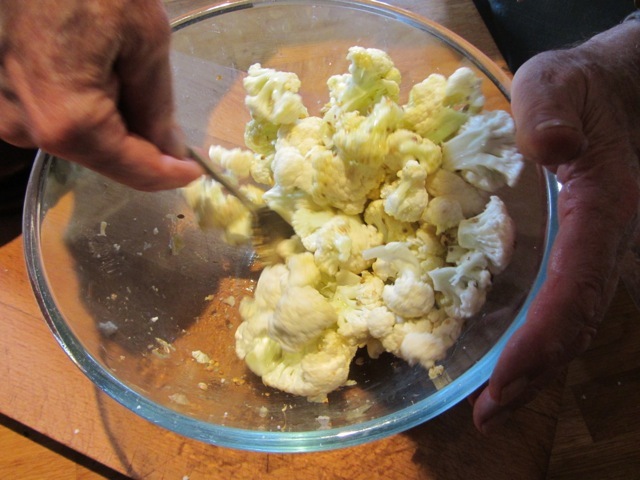 Put the cauliflower florets in a large bowl. Sprinkle over and mix in the crushed coriander seeds. Whisk the crushed garlic and olive oil together. Mix in this little sauce, coating the florets thoroughly. 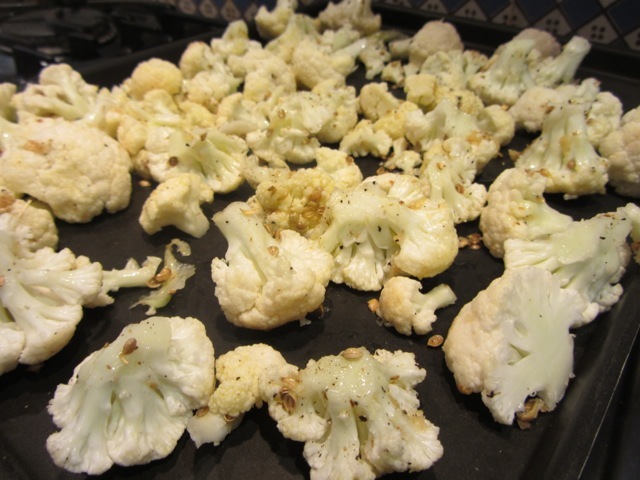 Spread them on a roasting tray in a single layer. Season with salt and pepper. Roast in the oven for about 30 minutes—checking for doneness after 20 minutes; they should be just tender and charred a little. 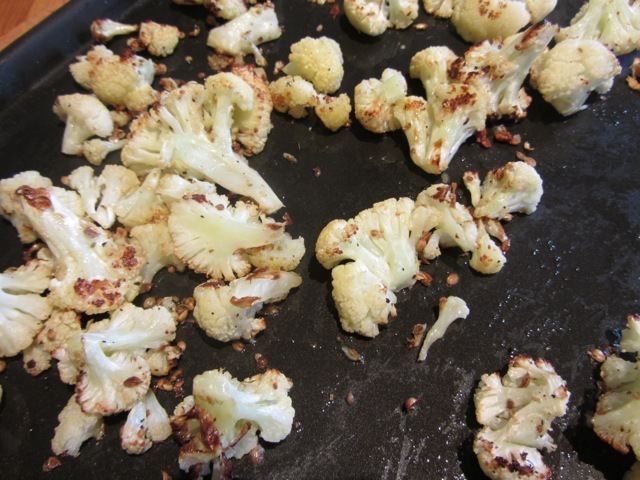 You can dry roast some sunflower seeds in a pan on the hob and sprinkle them over the transformed cauliflower if you like–I forgot to do this today! Meredith said it didn’t matter–and gave it the thumbs up. Great to see you on the tv this week and hope you enjoyed your trip . Loving the new Poldark but it can’t beat the original ! Enjoy all the recipes & the life style is definitely suiting you , thanks again for this great website ! Good to know it works with the powder. 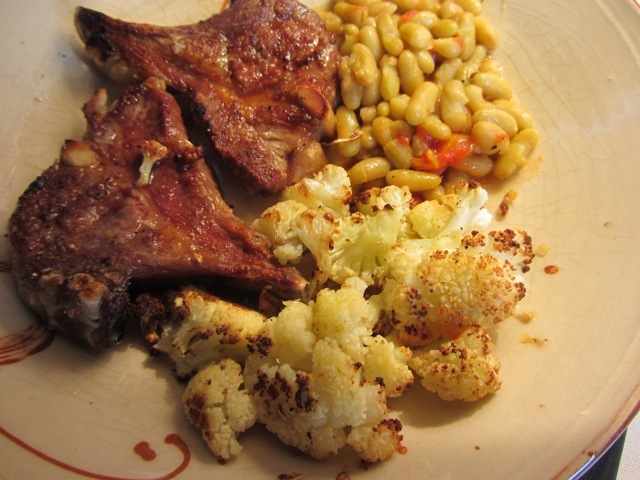 I’ve been doing something similar with my LCs – I flit between chili flakes & olive oil and three pepper & chili-olive oil – they taste fantastic! The spice informed olive oil is a good idea. Spouse & I are nuts for fried cauliflower served with Robin’s Baba G. recipe. 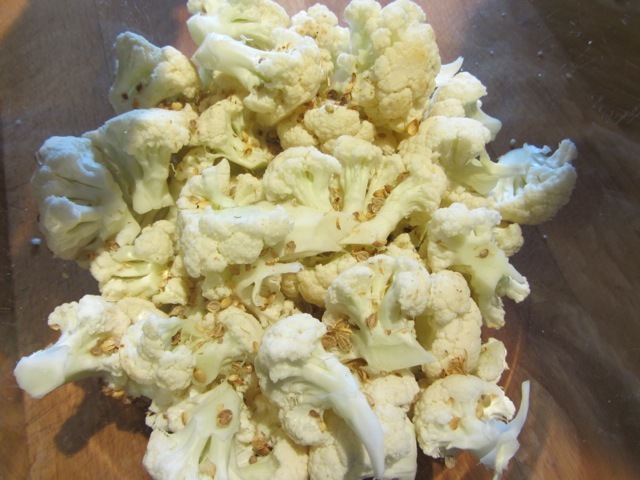 Robin this will be on the menu, I quite cauliflower but Jimmy doesn’t, so will try this cunning little plan. Welcome back, Robin & Meredith! I bet the cats slept close by last night! Thanks Robin – looking forward to trying this out especially pounding a few things in the pestle and mortar. I love cauliflower soup (my favourite soup in winter). Sadly winter seems such a long way off – autumn as hot as the fires of hell in Brisbane at the moment. Looking forward to the new version of Poldark coming to Australia – in the meantime my husband and I are re-watching the original for the? (I’ve lost count of the number of times).